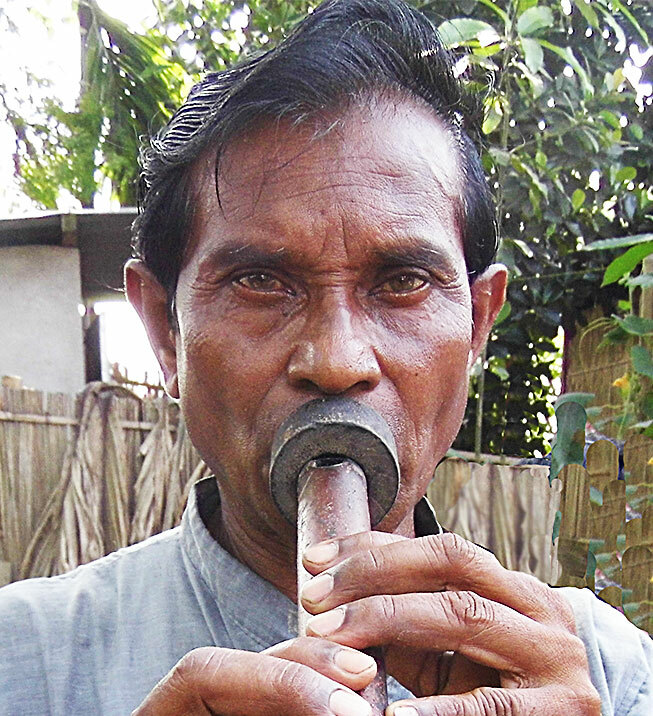 59 year old Anil Madok started learning to play the Mokha Bnaashi when he was 20 years old, because he was eager to participate in Shonarai performances. Though the Mokha is traditionally used for Bishohori pala gaan, it is also used to accompany Shonarai ritual songs. Since the Shonarai ritual has died out, Anil uses his skills as a Mokha accompanist for Bishohori folk dramas. Anil`s children have shown no interest in leaning their father`s art.